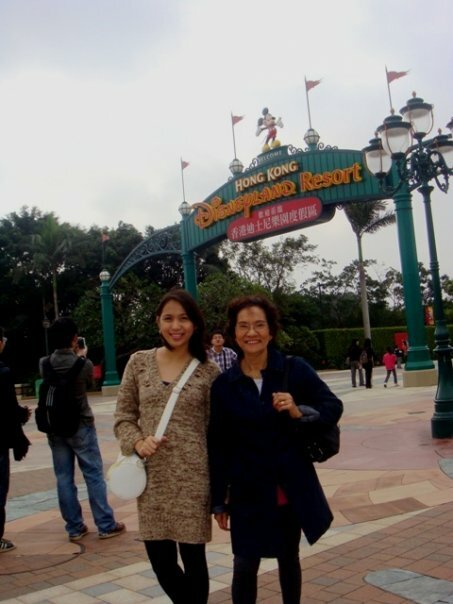 We spend our second day in Hongkong Disneyland. 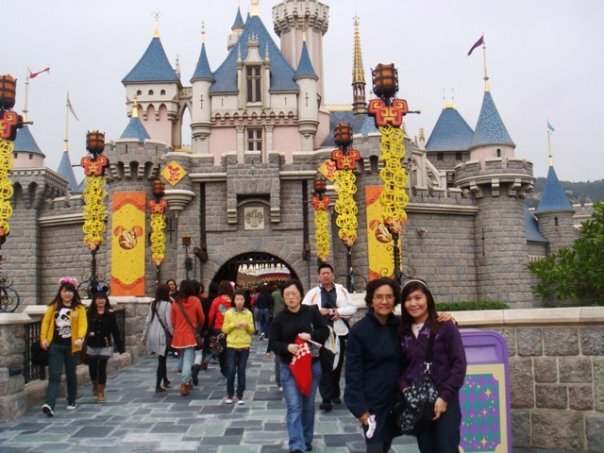 It’s really magical, from Disneyland train, entrance gate, architecture, rides, Disney Character, Shows, and Disney Parade! 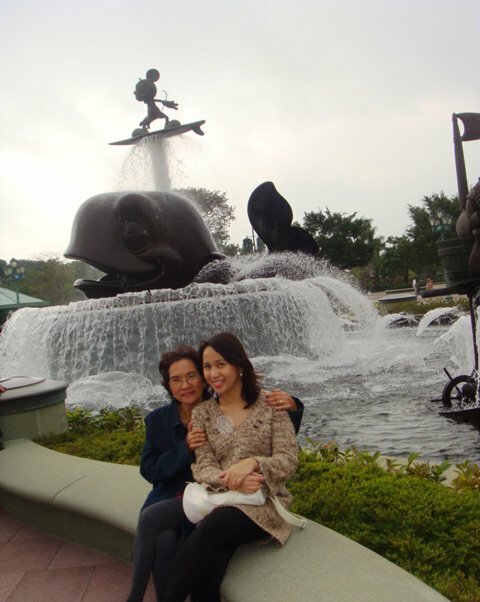 It’s really a dream come true for nanay and Jell. What a fantastic experience! 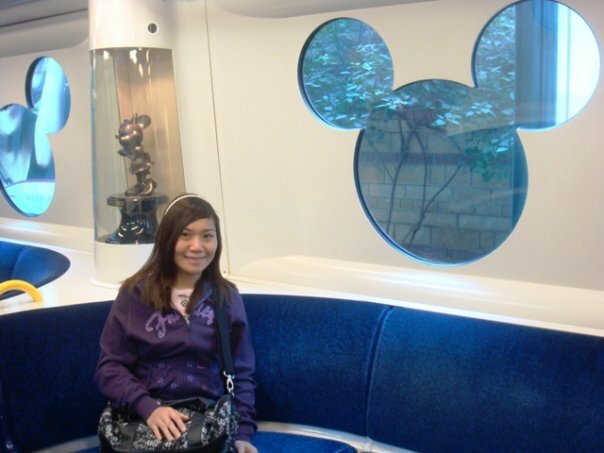 My sister Jell inside the train going to Disneyland, cheapest and fastest way going to Disneyland. 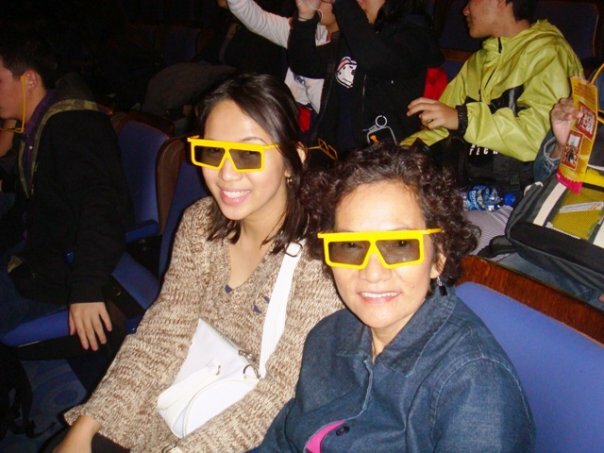 We’re both excited and amazed. 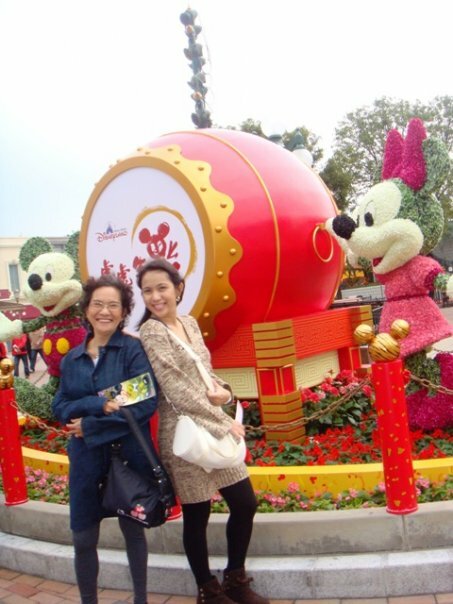 Me and Nanay with Mickey Mouse & Minnie Mouse made of fresh flowers! 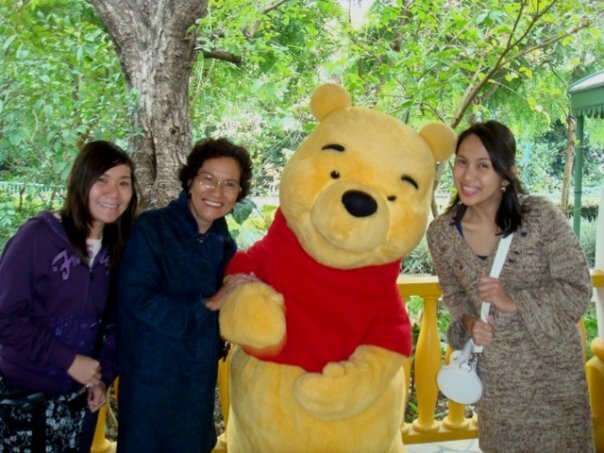 We line up for 30 minutes just for photo op with Winnie the Pooh. 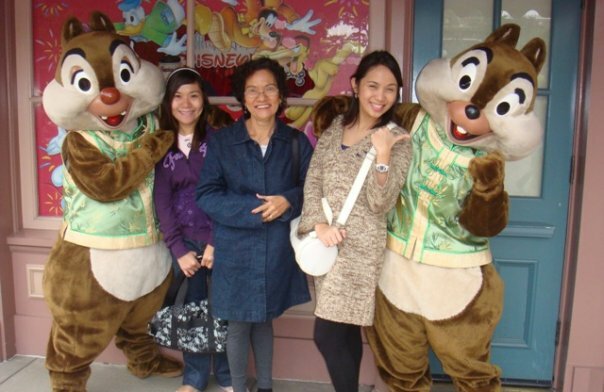 Me, Jell & Nanay with Chip and Dale. 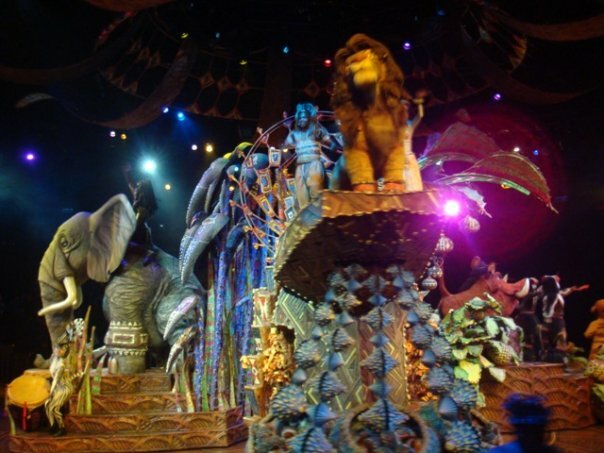 The Lion King Extravagant Show! Grabe and production, bonggels! 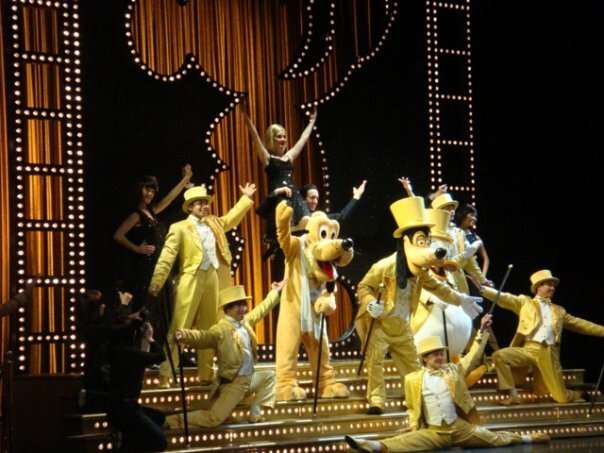 Goofy and Pluto ang bumibida sa stage! TIP: Book your ticket on-line, a week or days ahead of your visit. 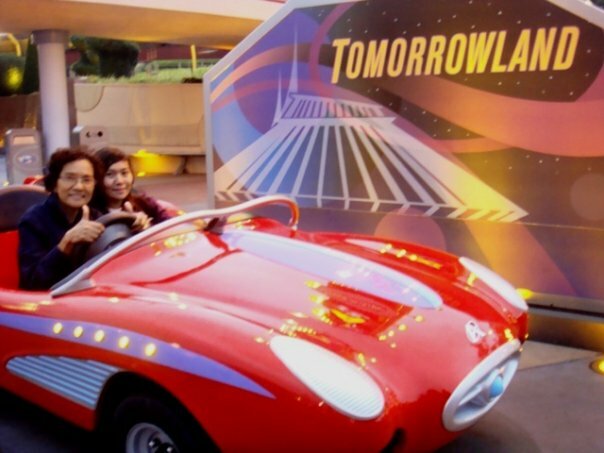 You can easily go there by train, bus or cab. 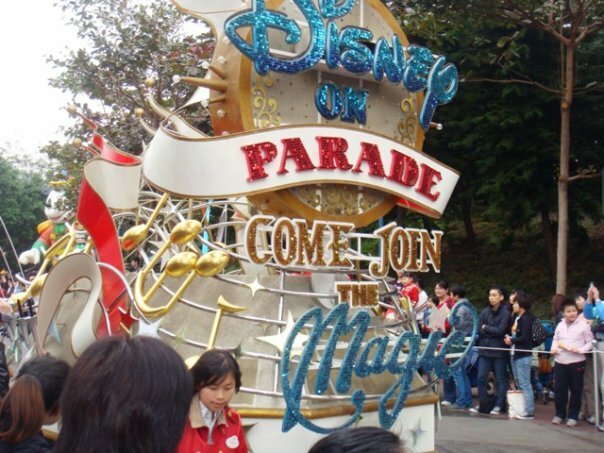 Watch the fanciful fireworks at night before you leave the park. 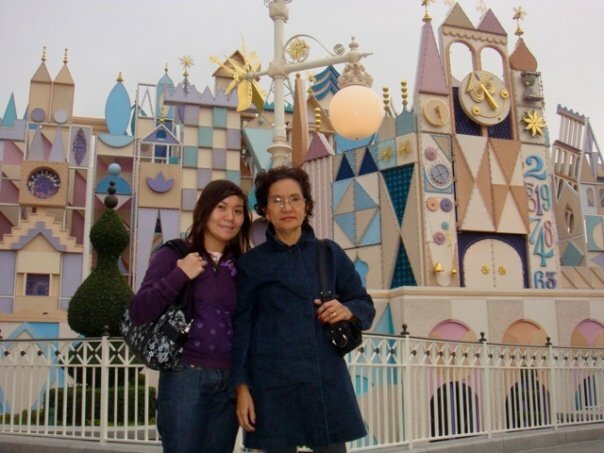 Don’t forget your camera or video recorder to capture the magical moments.